Last week, in a large homeschooling Facebook group I read some very distressing things about homeschooling with Classical Conversations. One of the bandwagons that a few people jumped on was: "Classical Conversations is very restrictive - they dictate the curriculum and there is no room for your children to be themselves.". That is FALSE, and it bothers me when people make sweeping generalizations about ANY homeschooling method. As our week unfolded, there was a beautiful example of Interest Led learning within a Classical framework. I couldn't have planned it any better, and I knew I must share it with my readers. What is Interest Led Learning? I am not sure of the "official" definition - but in my book it means letting your child take the lead. If your child shows an interest in something, do what you can to nurture that and find resources to allow them to find out MORE. My son has been intrigued with the Civil War era. This week he latched onto The Underground Railroad. It all began by him "finding" some books that I had strewn about the house, and it took off from there! 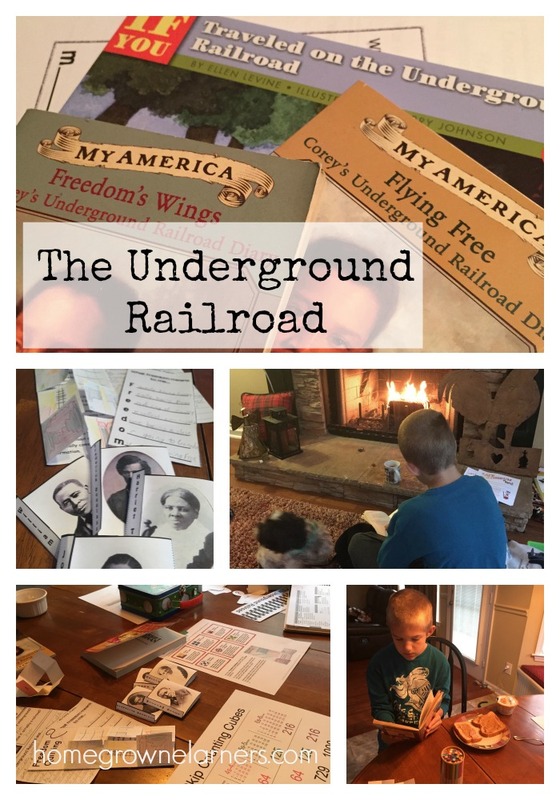 What resulted was a week long study of The Underground Railroad, with several books being read, and a lapbook nearly finished. We simply took a piece of our Classical Conversations memory work (a Civil War history sentence) and dug a little deeper. If you believe Classical education to be too dry for your children, think again. This week was anything BUT dry in our homeschool! Lots of interesting learning occurred this week, but for today's Collage Friday I'd like to highlight this one "tangent" we took, because it illustrates so nicely why I love Classical education -- and the FREEDOM it can offer. After he showed an interest in the books I searched the internet for an Underground Railroad Lapbook and found one at Teachers Pay Teachers. It was simple and went perfectly with the books! We have also been discussing METAPHORS - both in Anna's Challenge B literature work and in Essentials. 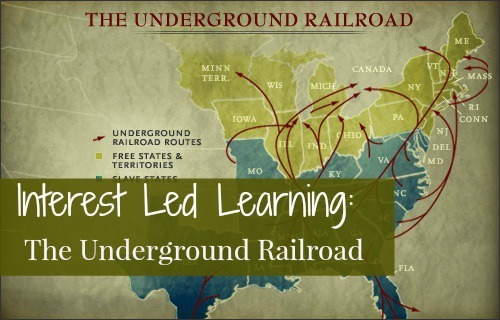 The Underground Railroad is one big METAPHOR. The best thing about our week was the empathy and concern Grant showed for slaves who were being oppressed. I had never heard him get very emotional about a character in a book, but this little boy - Corey - really spoke to him. Corey's spelling in the diary is poor and his story is so sad. How was your week? 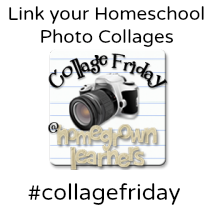 Do you engage in Interest Led Learning in your homeschool? Share about that in the comments!